Best AACPMAS Personal Statement Is Waiting for You! Podiatry can be a competitive area in which to find a college or university place and as such you will have to out-compete many others if you want to guarantee yourself a place. With many of those others having similar grades and other qualifications to you often the only way that you can differentiate yourself is often through writing an outstanding AACPMAS personal statement. Writing a personal statement, however, is never easy even for the best of students. It needs to clearly show the reader that you are an ideal candidate for their program in a way that will make you memorable when it comes time to make the decisions. Because it is such a difficult task many applicants will turn to personal statement help services such as ours for help. We are able to provide you with specialized support with your podiatry application through staff that is perfectly qualified to help you. Our services can give your application the boost that it requires to get you the place that you want. Once you have selected the individual programs that you wish to apply to you will also need to check their individual websites to see if they require any additional supplementary information. There are many online services that provide applicants with copied statements or off the shelf writing that will clearly not be about you. This is not going to help your application in any way as your personal statement must not only reflect what the program is looking for it must also be clearly written about you in a very attention grabbing manner. To achieve this our services provide you with direct communication with our experts so that they can help you match your information to what the committee members will want to see. They will then help you to pull all of this information together into a coherent and well-written statement that is going to get their attention. All of the writing is done through one on one communication and to your expectations using your personally provided information. If you need any changes performing on the draft then our experts offer unlimited revisions until you are happy that your statement is ready for submission. AACOMAS personal statement is the most important document. You want to write it well, so find rules for writing on our website. Without an understanding of the field of podiatry and the application process through AACPMAS, there is no way that even an accomplished writer could help you. This is where our services offer you a major advantage over many others online. With our years of experience in this area, we are able to provide you with a proven editor or writer that is qualified in the area of your application. 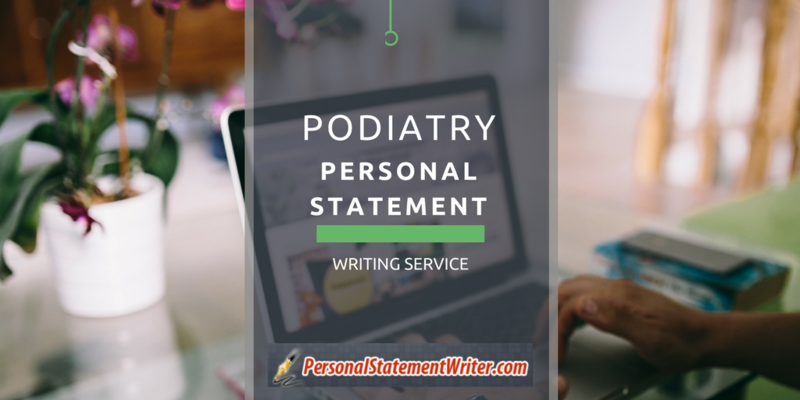 Through our very specialized help, you get to work with some of the best writers and editors in the field of podiatry to help with your application requirements. They work with you very closely to ensure that they provide the best possible results and your total satisfaction with your personal statement, Purdue application essay and other documents. Contact our specialized writing and editing help here today to work with the best qualified and experienced specialists to make your AACPMAS personal statement outstanding.